Karen is a psychologist in private practice in Santa Monica. She has post-doctoral training in psychoanalysis, group psychotherapy, and marriage and couples therapy. In addition, she is certified in Emotionally Focused Couples Therapy (EFT) and is a certified EFT Supervisor. Dr. Shore has also been a faculty member and supervisor for the Wright Institute and the Institute of Contemporary Psychoanalysis; a supervisor at the Maple Center and Valley Community Clinic; and she is a training and supervising analyst at the Institute of Contemporary Psychoanalysis. Dr. Shore is also a Past-President of the Los Angeles County Psychological Association. Betsy is a Marriage and Family Therapist in private practice in Hermosa Beach, CA, as well as Seal Beach, CA (in Orange County). Betsy specializes in Emotionally Focused Therapy (EFT) for individuals, couples, and families, and also provides EFT-based Hold Me Tight weekend couples workshops. 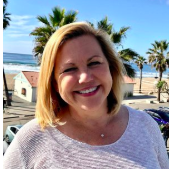 She began learning about couples therapy and EFT while pursuing her Master’s degree in Marriage and Family Therapy at California State University, Fullerton, and she continues to pursue additional training in EFT. Betsy also holds a Ph.D. in Linguistics from the Massachusetts Institute of Technology. Lisa is a psychologist in private practice in Pasadena and West Hollywood, where she works with both gay and straight clients in individual, couples, and family therapy. Lisa also has a specialty in community psychology and prevention-oriented programming. Dr. Blum is deeply committed to the EFT approach and is in the process of completing certification. She is co-founder of the EFT Resource Center, a home for EFT-informed workshops for couples and a training site for practitioners interested in developing their EFT skills. In collaboration with Dr. Silvina Irwin and Kristina Jackson, MFT, she is creating an EFT-based organizational intervention for team-building in business settings. June Shigeno, LMFT, has a private practice in Pasadena and is one of the founding members of LACEFT. She is passionate about EFT since participating in the EFT externship in Ottawa, Canada in 2005, and is a certified EFT therapist and EFT supervisor. She has used EFT to facilitate deeper emotional connection between couples (including cross-cultural relationships), parents, teens, and adult children, and conducts therapy in Japanese and English. Nancy is certified by the International Center for Excellence in EFT (ICEEFT) as an EFT Trainer, Supervisor and Therapist. She is a Co-founder, Inaugural President, and now Executive Director of the Los Angeles Center for EFT (LACEFT). Nancy is a AAMFT Approved Supervisor and a CAMFT Certified Supervisor. She taught couple therapy for more than a decade at Alliant International University in Los Angeles, and founded and chaired the couple therapy special interest group for the Los Angeles County Psychological Association (LACPA). She is also a past president of LACPA, and has been a board member and convention chair for the California Psychological Association (CPA). Nancy has post-doctoral training in psychoanalytic psychotherapy, family therapy, and couple therapy. She is licensed as a psychologist and as a clinical social worker, and has a private practice in Westlake Village where she sees individual adults and couples. Silvina is a licensed clinical psychologist, specializing in working with survivors of childhood and adult trauma, focusing on recovery at the individual level, as well as addressing the impact of trauma on intimate relationships in her work with couples. She is co-founder of the EFT Resource Center, a home for HMT workshops and a training site for interns and licensed practitioners interested in developing their EFT skills. She is certified as an EFT Therapist, EFT Supervisor, and EFT Trainer. In collaboration with Dr. Lisa Blum and Kristina Jackson, MFT, she creating EFT-based organizational interventions for business settings. Veronica Thomas has been treating children, teens , adults and couples for over 35 years. She is certified in Emotionally Focused Therapy for couples. Since it’s inception in 2010, Veronica has been on the board of LACEFT. Additionally, she is a founding member of Child Development Institute in Woodland Hills, California. CDI is a treatment facility for young children with social/emotional/cognitive disorders as well as a training institute for postgraduate students in psychology and related fields. She has taught courses in attachment theory at California State University, Northridge. Rose is a Marriage Counselor/Relationship Therapist in Costa Mesa, Orange County, California as well as Los Angeles, California. She was trained in Emotionally-Focused Couples Therapy (EFT) by its founder, Susan Johnson. Although she has counseled clients for several years, she initially had a career in science, earning Bachelor’s degrees in Physics and Philosophy at the College of William and Mary, working as a researcher for NASA, and starting a Ph.D. program in Atmospheric Science at Georgia Institute of Technology. She then earned a Juris Doctorate degree from the University of Southern California, allowing her to merge her loves of science and advocacy into a career as a patent attorney. After practicing as an attorney for almost a decade, she earned a Master’s degree in Clinical Psychology from Antioch University and began counseling clients in 2009. She now maintains a counseling practice and a law practice. Michele Hahn is a private practice psychotherapist working with Couples in Santa Monica. She has extensive training in Emotionally Focused Therapy for couples and individuals. After graduating UCLA with her bachelors in Psychology, Michele received her Juris Doctorate in law and worked for an international legal publishing company before becoming a therapist. After 25 years of marriage and life experience, Michele returned to her passion, Psychology. She is active in NAMI (National Alliance for Mental Illness) and CAMFT (California Association of Marriage and Family Therapists). Kristina Jackson, is a licensed Marriage and Family Therapist in private practice in Hermosa Beach, CA. For the past 25 years she has been working with couples and individuals to find relief, understanding and connection for themselves and in their most important relationships. Kristina is also a Certified Emotionally Focused Couples Therapist and Supervisor who works with licensed therapists throughout California and across the United States teaching and guiding them to become certified EFT therapists and Supervisors. Allison is a Registered Associate Marriage and Family Therapist, practicing under the supervision of Estee Diamond. She holds a bachelor’s degree in Psychology from Arizona State State University and a master’s degree in Counseling with an emphasis on Marriage and Family Therapy from Ottawa University. Allison has extensive experience working in the mental health field, with an emphasis on attachment and trauma, and has worked in a variety of settings including community mental health, eating disorder treatment as well as substance abuse treatment. She currently has a private practice in Encino and serves as the Lead Therapist at a Los Angeles based substance abuse treatment center. Allison began her training in Emotionally Focused Therapy (EFT) starting in graduate school in 2012 and continues to train in the model. Allison has also been trained in a variety of trauma models including the Trauma Resiliency Model and EMDR. She has a special interest in working with couples and families using EFT in addition to working with teens, young adults and individuals experiencing various life stressors and personal growth challenges. Karen is a founding member of LACEFT. Karen contributed to the making of the LACEFT DVD Caught in the Struggle, and is involved in the Couples 25 Plus Project. Karen is EFT Certified and has been involved in the EFT community since 2003. She has helped with several Externships and HMT workshops, and hosted an EFT study group in the San Gabriel Valley for the last two years. Last year they viewed the EFT training tapes, and this year they are going through the EFT Workbook. Karen is in private practice in Pasadena and is certified in EMDR. Jim is a certified EFT therapist, supervisor, and trainer. In 2006 Jim led the first of several EFT externship and certified trainings in Los Angeles. In 2011 he cofounded the Los Angeles Center for Emotionally Focused Therapy serving as Executive Director through 2016. In addition, to training Jim has contributed to the development of the EFT model through research and writing. He was principle editor or the EFT Casebook: New Directions in Couple Treatment and contributing author to the Becoming an EFT Therapist: The Workbook, and co-author of Emotionally Focused Therapy for Dummies. His research and clinical writing appear in the Journal of Couple and Relationship Therapy, Journal of Marital and Family Therapy, Journal of Systemic Therapies, and Psychology and Spirituality. He is a clinical member and approved supervisor in the American Association of Marriage and Family Therapy and a Certified Family Life Educator.